GetApp’s new report ranks the 25 Top Project Management apps in the marketplace right now. What exactly were the ranking factors that you identified to determine the list? And why did you choose those ones in particular? 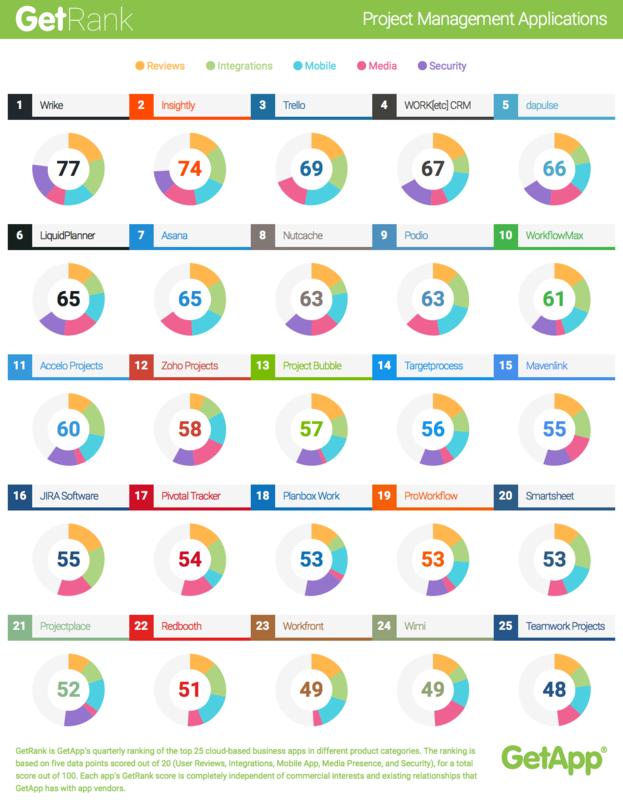 “The ranking factors that we use to identify the Top 25 project management software apps are: reviews, integrations, mobile availability, media presence and security. Reviews are based on the number and rating of reviews on GetApp, while integrations are related to the number of integrations that an app has. Mobile availability is based on the presence of an iOS and Android app in the App Store and Google play, as well as their related ratings, while media presence is based on the number of Twitter followers and Facebook fans that a vendor has. Security is based on a vendor completed survey which is derived from the Cloud Security Alliance’s Self-Assessment form. The CSA form and authentication has become the industry standard for Fortune 500 companies to achieve in order to assure their customers their data is secure. It’s interesting that you chose integrations and security… How do you see those two factors playing an important role for project managers or PMOs this year? “Being able to effectively use a piece of software to its full potential can only be realized if it does not operate in a silo. Project management often involves contributions from a variety of different departments responsible for various parts of the project. Being able to integrate with those departments and the specific software they use will not only help expedite processes, but can also eliminate duplicated work. If you’re using time-tracking, you’ll want to integrate with a billing and invoicing solution to be able to easily make those payments. If you’re collaborating or sharing documents among members, you’ll want access to cloud storage services like Dropbox or communication tools like Slack to enhance collaboration. Why do you think this kind of ranking is important for the PM industry right now? “The landscape of PM software is continually expanding, and it’s becoming a more popular form of project management delivery. Be that as it may, a recent study found about 60 percent of project managers are still using manual methods, such as pen and paper or tedious spreadsheets, to complete projects on time. This means that more than half of PMs are still doing things with time consuming and laborious processes, which are prone to human error. As huge as that number seems, the good news is that the number of PMs adopting software is on the rise, with a 14 percent increase over the previous year. What do you think are the biggest motivators for PMs to move to dedicated software? “Project managers are beginning to see the value of using software to help organize, streamline, and increase transparency on projects, factors that are missing with the manual PM methods still being used by many PMs. Specifically, PM software buyers are looking first and foremost, for Automation. This makes sense considering so many are migrating from doing things manually. They want to be able to free themselves up from time-consuming tasks and spend that new-found time simple getting more done. Automation leads to increased organization, which is an especially important motivator for project managers, and with systems in place to discern project maturity, organize tasks, and assign importance to items, PMs have the potential to see huge positive impacts on their business. Automation is definitely a huge component of the modern PM’s average day. Another key component is communication, visibility, and having everything in one place. Many software systems do not allow all of these aspects and if they do, there is a extortionate cost on the front end which is accompanied by steep monthly subscription fees. What other solutions are available? What have you experienced the most success with? Nice article thanks for the detailed blog on Top Project Management apps, we run a pmp training online we would bookmark this link and also send our project management students here. our training link – https://www.excelr.com/pmi-project-management-professional/ – might be useful for your readers as well. Hey thanks for the post, extremely insightful.It was really surprising to see no mention of Zapty.com . 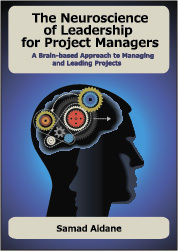 I have been using the tool for my official project management needs and have had great success. The best part about it being its features that were in my opinion able to surpass other big players. Hi, thank you for this post nice information about the software I just want to add one more to your list that is scopidea very easy to use its web-based software and doest require any formal training to use it basic computer person can also use it and its free up to 15 users.